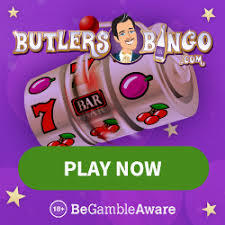 Butlers Bingo have a great bingo promotion agenda for the next few weeks, there are loads of cash prizes up for grabs with each giveaway celebrating events such as Halloween, Fireworks Night and also a random Clowning Around giveaway. With Christmas fast approaching us we could all do with the extra BBz as every penny saved will help! Between the 25th and the 31st of October Butlers Bingo are getting into the Halloween spirit with their ‘Butlers Halloween Bingo Game’. All prizes will be credited to your bingo account in BBz, you get £3BBz extra when you get the full house, £2BBz for the two line prize and £1BBz for the one line prize. There will be £4,475 given away between the 1st and 7th of November with the Fabulous Fireworks giveaway. When you play the Butlers ‘Fabulous Fireworks Game’ and get a full house your bingo account will be credited with and extra £4BBz and your Nabors will each get a £1 BBz prize. The £3,880 Clowning Around Giveaway will be taking place between the 8th November and the 13th November, Butlers Bingo have promised to have some fun and be clowning around so you will have to watch out for that! Get a full house prize when these bingo games are played and you will get an extra £3BBz, get the two line prize and you will receive an extra £2 BBz and get the one line prize and you will be given an extra £1BBz to be credited to your Butlers Bingo account. As a new member at Butlers Bingo you will receive £10 free bingo no deposit required, when you are ready to make your first deposit you will be greeted with a 150% cash match deposit bonus.